As school holidays begin, churches and community groups are launching schemes to provide children with free lunches to alleviate the burden on poor families through the summer. Families whose children get free school meals in term time face extra costs during holidays. “When people are living on a very marginal income, it doesn’t take much to knock them over,” said Dominic Black, the vicar of North Ormesby in Middlesbrough. “We’ve noticed in the past few years, partly as a result of benefit changes and cuts, a huge increase in the number of families coming to us in the summer saying they can’t manage. Most of these are working families,” he said. Free school meals are available to children at primary and secondary schools whose parents are receiving benefits or earn less than £16,190 a year. The recent school census showed there are more than 1.1 million children eligible and claiming free school meals in all state schools in England. Black estimates that seven in 10 children in his area are entitled to free school meals. Local churches, supported by businesses and charities, will offer 5,000 meals over the summer as part of holiday activity clubs. The area has seen marked decline with the loss of heavy industry since the 1980s. “The most alarming statistic has been in child poverty, now reckoned to be at 60% in the neighbourhood,” said Black. 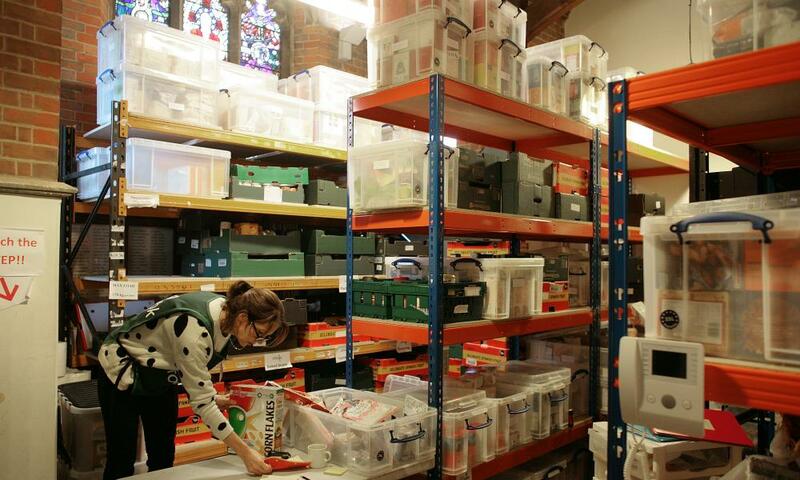 Churches in the area have long run summer holiday clubs but have seen a growing need to provide meals. Black said that mothers would regularly go without food in order to feed their children. Middlesbrough is planning a series of activity weeks around churches so there will be provision for children throughout the six-week holiday. Similar schemes are operating in other dioceses. In Addlestone, Surrey, the HeBrews coffee shop at St Paul’s church is offering lunches to children who are entitled to free school meals. The food comes from surpluses from retailers and outlets, and a local food bank.